The DHL Hong Kong Balloon is a new Hong Kong tourist attraction that offers its visitors an unobstructed views of Hong Kong from 100 meters high above the hustle and bustle of the city. 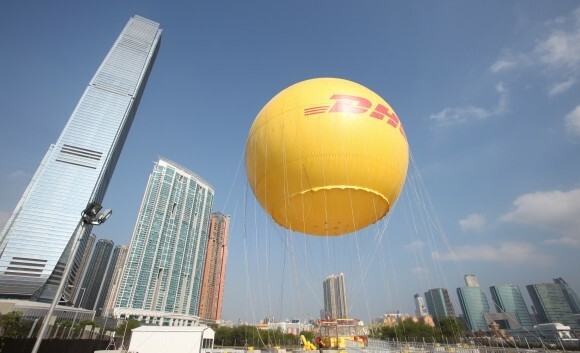 The DHL HongKong Balloon - Located on the West Kowloon Waterfront Promenade (East Entrance), the DHL Hong Kong Balloon gives tourists and residents alike views of Hong Kong from 100m high above the hustle and bustle of the city. The gondola enables guests to see the Victoria Harbour and cityscapes of Hong Kong Island, Kowloon, wonderful views of the Peak and surrounding mountains in peace and quiet by floating up to 100 meters- photographic opportunities never before available without an expensive helicopter flight! 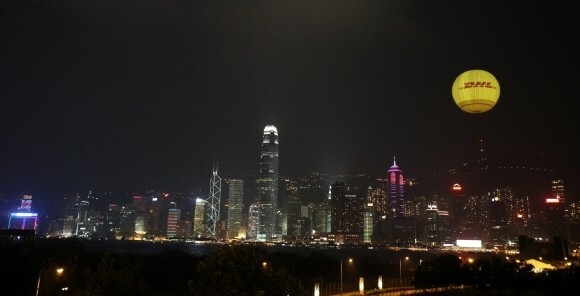 During the 15 minutes ride, see for miles during the daytime or watch the city light up at night. The DHL Balloon operates every day from 10:00 a.m. to 21:45 p.m., with flights lasting 15 minutes. The Balloon is capable of taking up to 30 passengers per flight. Day Flights Time: 10:00 a.m. to 18:45 p.m.
Night Flights Time: 19:00 p.m. to 21:30 p.m. 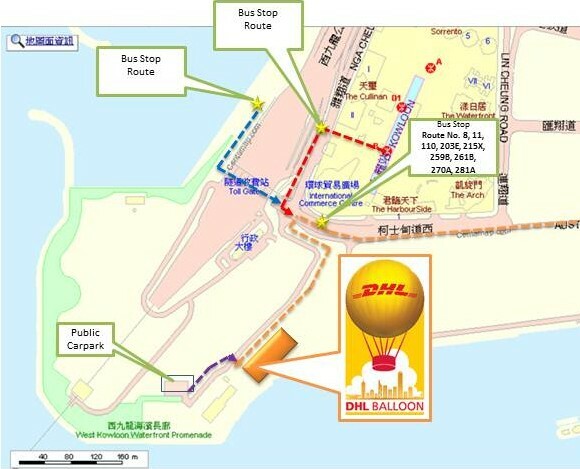 Address: DHL Hong Kong Balloon is located at West Kowloon Waterfront Promenade (East Entrance). Getting to The DHL Hong Kong Balloon is easy. Take the MTR trains that will get you toKowloon Station and then walk through Exit D. Then cross the road until you see the Western Harbour Crossing Bus Station. Then turn left and walk through the bicycle path before reaching our Balloon site. (From the MTR to the site is just a 10 - 15 minutes walk - refer to walking route map below).